NEW LISTING! Approx. 925 acres in Siskiyou County – entire ranch certified organic. 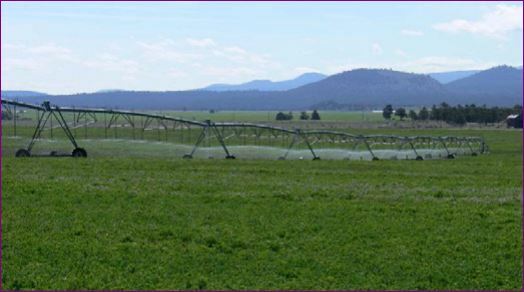 Currently 167 acres organic alfalfa under two (2) pivots, about 120 acres dry land or potentially irrigated, and the balance juniper/sage range. Excellent wells! 2 wells each reportedly delivering 3,500 gpm – only one used in current operation – expand your irrigated acreage. Mt. Shasta views from northerly side of property overlooking the fields and surrounding mountains.